I started a new job. It's part time and is working out perfectly I think. It's great to have a stability of a 'regular' job and I still have some time to work freelance at a couple of other places. It was an interesting couple of weeks figuring out a routine and how it all fits into place but that has passed and of course I have a house-husband at home doing all the cooking & cleaning which made it a lot easier. It's been quite the novelty to have Chris at home and me be the one heading off to work in the mornings! I am currently failing in the scrapbook-a-page-a-month goal, although I think my point was to have a layout a month to look back on even if I didn’t actually make it each month – and I have prepped the photos and journaling for January so it’s not all bad! 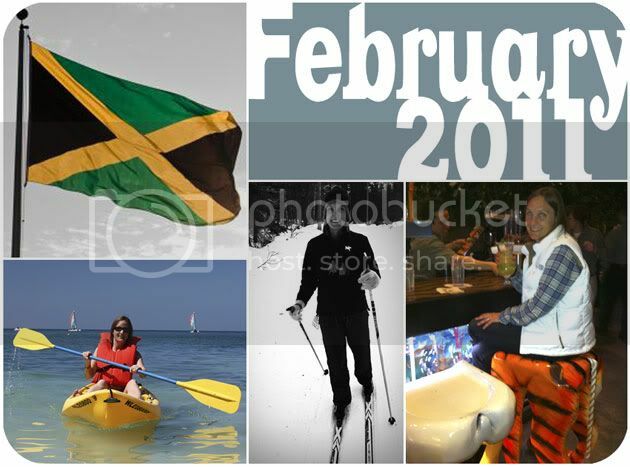 I also want to put together a little mini album documenting my progress on the manifesto and also a vacation mini album for Jamaica (though we don't have too many photos so it might be a mini mini!) Nothing like adding to the 'to do' list rather than crossing things off eh?! Its so good to see an update! Love the photos too!